TransForm strongly recommends a “NO” vote on Prop 23. Texas oil companies and other major polluters are spending millions of dollars to push this ballot proposition, deceptively titled the “CA Jobs Initiative,” which will actually gut California clean energy and air pollution standards and destroy hundreds of thousands of new and future good-paying clean and green jobs. Prop 23 is designed to kill California’s world-renowned innovative approaches to cleaning the air, reducing greenhouse gas emissions, and spurring the growth of the new green economy. Prop 23 backers Valero and Tesoro, two massive Texas-based oil and energy companies, are among the nation’s biggest polluters and their California oil refineries are among the top ten sources of pollution in our state. Prop 23 proponents claim that we just can’t afford to pursue cleaner air, reduced greenhouse gas emissions or improved health. But, the reality is that California’s clean air and green energy laws serve as global best practices models; spurring half a million new jobs in our state alone, improving our air and water quality and thereby benefiting the health and well-being of all Californians, and leading the way to a new paradigm that will reduce costs for governments, businesses and households. Green energy and clean tech represent the one area of our economy that has continued to grow rapidly during the recession. Prop 23 would keep us dependent on fossil fuels, force us to pay more for dirty energy, foul our air and water, harm public health, and kill California’s best hopes for a healthy, successful future. Vote “NO” on Prop 23. Learn more. TransForm recommends a strong “NO” vote on Prop 26. Prop 26 would amend the California Constitution so that nearly all regulatory fees would be redefined as taxes and therefore require approval by a 2/3 vote of the legislature or by a costly local election also requiring a supermajority. A 2/3 vote is virtually impossible in today’s political climate. If Prop 26 passes, environmental, consumer and public health safeguards would be severely weakened and the problems facing our communities would be dramatically further exacerbated. The independent Legislative Analyst’s Office has found that Prop 26 could end up adding billions of dollars in additional costs each year to our state and local budgets. Prop 26 aims to weaken essential environmental, consumer and public health and safety programs by making it virtually impossible for communities to cover the most basic costs of maintaining the critical systems and resources on which we all rely: roadway accident response, hazardous waste and oil spill cleanup, gas pipeline safety programs, air pollution monitoring and mitigation, public health and safety programs related to drunk driving, restaurant health inspections, provisions for security during large events, and many, many more. Communities simply will not be able to function if they must mount a public election and win a 2/3 vote every time they need to manage and respond to activities that impose costs on the community. To make matters worse, Prop 26 places the burden of proof on governments to demonstrate that a fee is not a tax. This will lead to expensive litigation as well as even more costly elections. Should Prop 26 pass, our communities and the state government would be unable to collect the revenues necessary to fix potholes, keep street surfaces and bridges in good condition, reduce traffic congestion, expand the public transportation system, or manage road safety programs that keep accidents to a minimum and provide for rapid response when accidents do occur. After decades of deferred maintenance and disinvestment, California can not afford to let its transportation infrastructure deteriorate any further. Yet Prop 26 would essentially lock in the status quo and block any meaningful effort at comprehensive reform. The VRF is actually a suite or package of “user” fees that must be paid annually to register and use a particular vehicle in the state. The specific fees and amounts that must be paid to register a particular vehicle vary greatly and depend on a range of factors, including things like: the type of vehicle, what the vehicle will be used for, the county of residence, and whether the owner wants to use special license plates. It is difficult to calculate total revenues generated by the VRF family of fees as many of these fees go to different entities. The total amount of revenues collected statewide via VRF fees is somewhere in the range of $1 to $2 billionper year. These revenues are allocated to: the CHP and DMV, state highway and roadway construction and maintenance, state general fund needs, and various city and county transportation programs and related local air quality improvement efforts. Should Prop 26 pass, it would prevent the state and local governments from increasing the various fees that currently constitute the VRF without a 2/3 vote. Prop 26 does exempt from the 2/3 vote requirement any charges “imposed for a specific benefit conferred or privilege granted directly to the payor that is not provided to those not charged and which does not exceed the reasonable costs to the State of conferring the benefit or granting the privilege to the payor.” However, it appears that none or almost none of the fees constituting the overall registration fee package grant exclusive privileges to the payor and thus it appears that none or almost none of these fees would be exempted from Prop 26. Although registration fees allow payors to drive particular vehicles, drive on safer or better-maintained streets, and breathe cleaner air, none of these privileges are exclusive to payors. A non-payor might borrow a payor’s vehicle and receive the benefits. A non-payor might not own a vehicle but still receive the benefits of better streets whenever riding in a taxi or on a bicycle. Everybody benefits from cleaner air. The only registration fee that appears to fall within the exemption is the license plate fee. The privilege of using a license plate is granted directly and exclusively to the payor. Of course, if the license plate registration fee exceeds the “reasonable costs to the State of conferring the benefit,” then the exemption would not apply. In short, it appears that all or nearly all vehicle registration fees in California would effectively be locked in at current levels by Prop 26. Given that historically these fee levels have been altered repeatedly and easily based on evolving circumstances, Prop 26 would almost certainly result in a rapidly growing disparity between the monies being collected and the real needs on the ground. Drivers would almost certainly experience even more rapidly deteriorating and less safe roadways and longer wait times for help when an accident or emergency occurs. Air quality programs would also likely suffer without the ability to increase funding. And given the state’s reliance on certain VRF funds to balance the state budget, Prop 26 would almost certainly exacerbate the state budget deficit in coming years. The VLF was established in 1935 in lieu of a property tax on vehicles. The VLF must be paid annually and the amount is calculated based on the value of the vehicle; as a vehicle depreciates over time, the VLF goes down. The DMV sends all VLF revenues, other than administrative overhead costs, to the cities and counties for use on local programs and projects. In its current form, the VLF generates approximately $4 billion annually. The VLF is the third most important source of general revenues for cities and counties (after property and sales taxes). VLF revenues fund a wide range of local programs and projects, including transportation. Over the last twelve years, the VLF has been dramatically reduced so that Californians are now paying a much smaller percentage of the value of their vehicles and the amount of VLF revenues available for local programs has decreased. Additionally, during the last few years of extreme budget challenges, the state has been borrowing VLF revenues to help balance the state budget. The state has backfilled a portion of the monies that used to go to local governments but the overall movement has been a decrease in monies available for local programs. Should Prop 26 pass, it would become virtually impossible to increase the VLF. This would make it far more difficult to increase or even simply maintain funding for local programs. There is already a huge backlog of local projects and programs that need funding. Prop 26 would kill our ability to meet these needs and also make it more difficult for the state to find sufficient revenues to backfill the VLF monies taken from local governments for state purposes. Local sales taxes are the second most important and valuable source of revenue for local community needs. Prop 26 would essentially freeze local sales taxes and the related programs in place today and prevent California communities from being able to address changing circumstances or needs by modifying the programs or funding mechanisms. It is extremely difficult to quantify the extent of the severity of the impacts Prop 26 would have on local sales taxes and the programs they fund. A 2/3 popular vote is already required when a local government proposes a sales tax to pay for a specific program. However, only a majority vote is currently required when a local government proposes a sales tax for general purpose needs. Many communities that have attempted to pursue the general purpose tax approach have found it impossible to generate sufficient public support to garner just a simple majority approval vote because people do not want to support higher taxes without knowing precisely how the money will be spent. Of course, many communities that have attempted to pursue the specific tax approach have found it impossible to generate sufficient support to garner a 2/3 vote because no matter how valuable or important the service that needs funding, getting 2/3 of the voters in any given community to support higher taxes is virtually impossible. Local sales taxes are critically important and already very difficult to pass. California’s communities are struggling to meet the most basic demands of residents and businesses in an equitable and efficient manner. Prop 26 will kill the capacity of many communities to maintain any reasonable level of services or quality of life. Although the gas tax swap did not create a formula that would allow for necessary future increases in state and local allocations to public transportation, it did stabilize the limited revenues available for transit. Given that in recent years the state has been diverting huge amounts of money from state transit funding in order to balance the budget, the gas tax swap created a mechanism to ensure that transit agencies at least receive the bare minimum of what they need to function. Should Prop 26 pass, it would scuttle the gas tax swap. This would likely mean that transit operators would again be exposed to volatility and an overall trend of reductions in revenues available from year to year. Given Prop 26’s 2/3 vote requirement for increasing fees, it would become virtually impossible to secure the funds needed to expand the public transportation system in coming years. Although it is not currently possible to determine with certainty the total future statewide funding needs for transit, there are currently tens of billions of dollars worth of unmet public transportation needs. Prop 26 is an extremely dangerous initiative. Its passage would wreak havoc with our ability to maintain the most basic and critical programs: public health services, toxics mitigation and clean-up, alcohol and tobacco harm reduction campaigns, food safety, and much more. California faces numerous challenges these next years, from jobs to education, energy and infrastructure, water, housing and climate change. Prop 26 would prevent us from having the capacity to successfully meet these challenges. TransForm strongly urges you to vote “NO” on Prop 26 and to also engage your friends, colleagues and loved ones about the issues at stake. The campaign against Prop 26 is grossly underfunded so the only way we’re going to defeat this one is if we all spread the word: vote “NO” on Prop 26! No on Prop 26. Learn more. After wrestling at length with the details of this initiative, TransForm will remain neutral on Proposition 22. We offer the following analysis and rationale for this position. We encourage everyone to read the voter guide and ballot information for more details. Prop 22 is a proposed amendment to the state constitution that aims to limit the state’s ability to borrow or take from local governments funds used for transportation, redevelopment, or other local government projects and services. One of TransForm’s highest priorities is ensuring sufficient stable funding for public transportation. The possibility of protecting local transportation funding with an initiative like Prop 22 is extremely compelling. Prop 22 would ensure that certain critically important local funding streams would not be raided by the state. By restricting and prohibiting the state from borrowing or redirecting funding streams that support local government operations, Prop 22 would protect several key local funding mechanisms for public transportation and affordable housing. However, given the complexities of the programs at issue, it is not possible to predict all of the actual impacts, including potential unintended consequences, of Prop 22. The complexity, the uncertainty, and the sense that we need to focus more on expanding resources are the main reasons TransForm has decided to remain neutral on this initiative. The majority of fuel tax revenues collected in California are routed through state level programs but a portion of these revenues go to local governments to fund local transportation programs and services. State government currently has the authority to borrow the local revenues to maintain sufficient state cash flows or to balance the state budget. The state must repay these funds, plus interest, within three years. Prop 22 would prohibit the state from borrowing the local portion of fuel tax revenues, protecting their uninterrupted use by local governments. This would allow local governments to maintain current funding for transportation programs but force the state to pursue other mechanisms to address borrowing needs, such as cutting other programs or increasing taxes. The state uses some of the fuel tax revenues it receives to pay down debt servicing costs associated with voter-approved state transportation bonds. Debt servicing costs the state approximately $1 billion per year. Prop 22 would restrict the state’s ability to use fuel tax revenues to pay down the debt associated with transportation bonds. If the state can not continue to use its fuel tax revenues to cover debt servicing costs, the state might spend these revenues on transportation projects such as roads, highways and public transportation infrastructure. However, the state would be forced to dedicate an additional $1 billion per year from the General Fund to pay down the debt servicing costs. This would exacerbate the state deficit by adding approximately $1 billion per year to General Fund obligations, requiring the state to reduce spending on other programs or increase taxes. Under current state law, property tax revenues are used by local governments for a range of services but the specific allocations are governed by state law. A portion of property tax revenues are used by local governments to fund the work of local redevelopment agencies which, in turn, use some of the money to fund affordable housing development. The state is currently allowed to alter the allocations of property tax revenues by, for example, requiring monies otherwise intended for local redevelopment agencies to be spent on local schools. During times of severe state fiscal difficulties, such as now, the state is also allowed to borrow local property tax revenues, for up to three years, in order to balance the state budget. Prop 22 prohibits the state from altering local allocations of property tax revenues and also prohibits the state from borrowing property tax revenues. As a result, if Prop 22 passes, redevelopment agency funding would be protected and this would protect some existing efforts to ensure affordable housing projects are built. However, the state would be required to raise taxes or cut other programs in order to balance the budget and ensure sufficient funding for other local and statewide needs. Prop 22’s restrictions on state borrowing or altering allocations of local funds would result in more secure funding for local and state transportation programs and more secure funding for local affordable housing programs. Because of TransForm’s commitment to protecting and expanding funding for transit and affordable housing, these are strong arguments to support Prop 22. The negative impacts of state diversions of local funds are glaringly obvious and Prop 22 would protect some very important local government revenue streams. Californians have repeatedly voted to support higher local fees and taxes in order to fund local investments, yet our state government has repeatedly stepped in to divert these local revenues to cover state needs. These diversions have contributed to local government cuts to road maintenance, public transportation, and redevelopment agencies. Preventing or minimizing the negative impacts of state diversions of local monies is arguably reason enough to support Prop 22. On the other hand, Prop 22 would also increase the state deficit by approximately $1 billion per year and make it more difficult for the state to increase its allocations for a range of critical needs, including possibly transportation. Given the complexity of the funding streams and the overlapping responsibilities for program management at the state and local levels of government impacted by Prop 22, the possibility that there may be additional changes to relevant portions of state law prior to the November election via the budget or legislative process, and the likelihood that there will be litigation concerning portions of the initiative if it is passed by the voters, it is not possible to predict with certainty the real-world implications of Prop 22. There are simply too many variables and unknowns. By exacerbating tensions between the state and local levels of government, Prop 22 might make it more difficult to secure increased long-term state funding for key programs, including public transportation and affordable housing. Ballot-box budgeting often has unforeseen consequences. It was incredibly challenging for the two TransForm staff who worked on this, Graham Brownstein, an attorney, and Stuart Cohen, with a Master’s in Public Policy from UC Berkeley, to understand Prop 22. We still do not fully understand the implications, especially the transportation component. If you read the link we provide below to the state’s official voter information guide section on Prop 22, you will see that the state does not exactly shed a lot of light on the intricacies of the possible implications of the initiative. This begs the question: does bringing multi-faceted and highly complex policy decisions like this to voters improve our governance system? Regardless of what happens with Prop 22, local and state levels of government in California must increase their commitment to public transportation and ensure that funding keeps pace with the needs of a growing, urbanizing, and aging population. The issues at stake in the debate over Prop 22 are profoundly complex and important. There is no shortage of pain and suffering to go around: at the state and local levels and in homes, schools and offices across California. All levels of government in California need additional revenues to meet fundamental obligations. Public transportation and affordable homes are at the top of TransForm’s list but health and social services are also being decimated, especially for the poor, and our educational system is being starved as well. Regardless of what happens with Prop 22, TransForm will continue to work at the local, state and federal levels to secure long-term stable funding for world-class public transportation and walkable communities for all Californians. Please visit the state’s voter guide for more information on Prop 22. We wish you the best in deciding how to vote on this initiative. 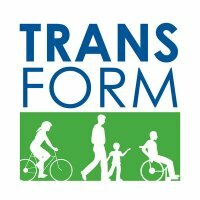 Contact State Policy Director Graham Brownstein for additional information and analysis of TransForm’s positions.